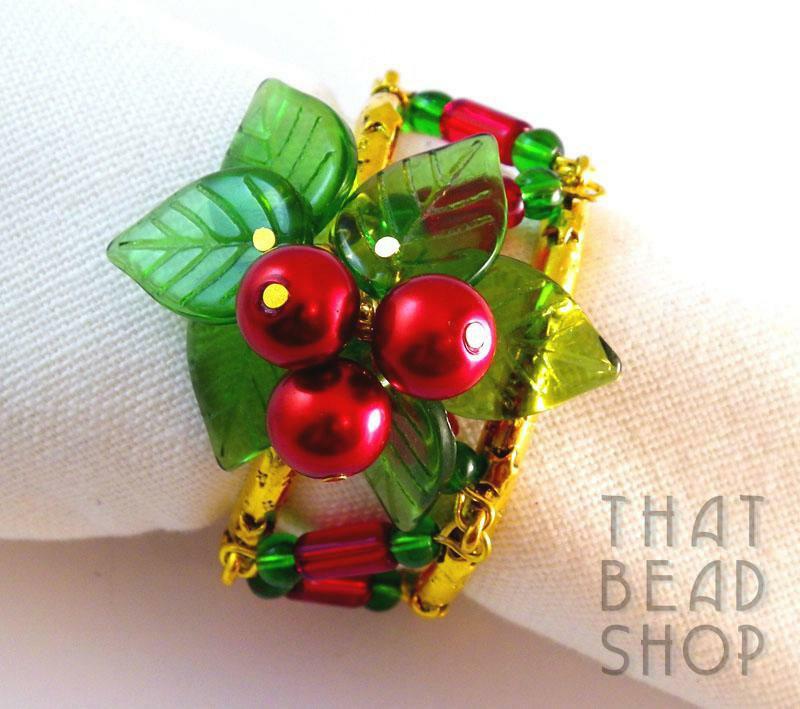 This kit includes all of the materials and beads to make the set of four (4) Christmas Napkin Rings as featured in Creative Beading Magazine Issue 7-6. Green, red, and gold combine all of the colours necessary to make this kit a sparkling addition to your Christmas table decorations. The kit combines glass pearls, glass leaves, glass tubes, and antique gold findings to add an element of individual creativitity to your Christmas festivities. Create your own tradition with these delightfully eclectic Napkin rings. 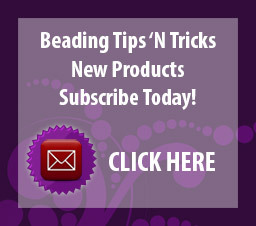 The kit comes with FULLY DETAILED INSTRUCTIONS on how to create this one of a kind set of Napkin Rings. The kit does not include the tools required to make this piece.